Buy Cheap SplitWorks 2014 Online. 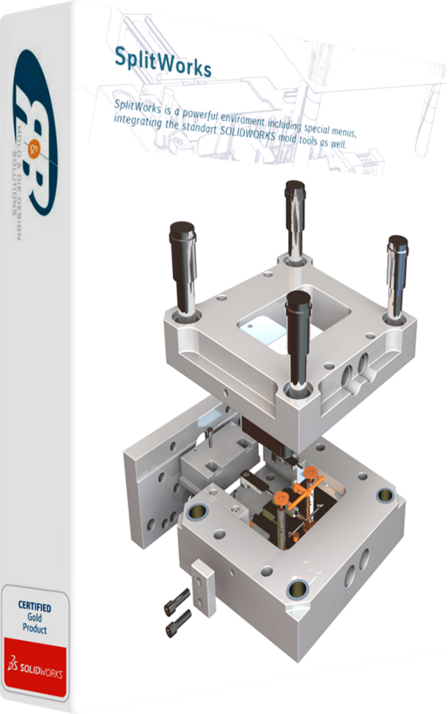 SplitWorks 2014 is a cardinally new software product, which uses advanced technologies for automatization of the process of core and cavity creation and separation. The intelligence of the product starts with the analyses of the part model and its preview in color-coated mode. The app displays the potential core, zero draft angle surfaces, cavity, as well as surfaces that belong to the core and the cavity in accordance with the chosen splitting direction. The parts may be tested using SolidWorks or the other specialized CAD software. Besides, SplitWorks may be used even on non-solid geometry. In order to change the split direction a user must click on a plane, planar face or edge, which constantly updates the preview. At this stage, the system analyses no draft angle surfaces and undercuts, providing designers with an opportunity to select the most appropriate splitting directions. •	Creation of splitting surfaces radiating or lofting free edges.